What do you get when you assemble a fluorescent light, electric fan cover, water gallon, chicken wire, basin, and scrap metals and wood? A light trap for insects! Yes, you read it right! A group of senior high school students used these materials to develop this technology known as the light trap. It was a tool they used for their investigatory project named Round Tr.I.P, or Round Trap for Controlling Insect Pests on Rice Fields. Light trap is a device that is used to attract and catch insects. The light trap, when used to control agricultural pests, traps insects in a field by attracting them towards the light. Coming nearer to the light, the insects get trapped and electrocuted through the screens which are tapped with electricity. Aside from light traps in fields, there are also light traps used in homes to capture house insects, primarily mosquitoes. The light from this device will certainly knock pests down. This light trap was used as the primary instrument for the conduct of the said investigatory project of the three senior high school students of Immaculate Heart of Mary Academy in Pinamalayan, Oriental Mindoro. With the desire to help farmers kill pests and increase crop productivity, they assembled this trap using simple and inexpensive materials. Light trap is used to capture insects and pests that wander in the rice fields at night. A light trap can be used for four hours a night, either from 7 to 11 PM, or 11 PM to 3 AM. These hour intervals are regarded as optimum hours when most of the insects fly around the field. Through this, the pests gather at the source of light, instead of landing on the plants. In the Round Tr.I.P project, they have so far produced three prototypes, each with different designs and colors of light. As the students developed the prototypes, they improved its appearance so that it will look more commercially attractive. This project started as students’ requirement in school. The group saw the problem of pests encountered by farmers. “Kasi ‘yung mga farmers hindi nakakakuha ng one hundred percent na dapat nilang makuha gawa nung mga insects (Because the farmers do not get one hundred percent of what they should get due to the insects),” says Caezar Aaron Dote, one of the three researchers for the said project. They planned and put up the first prototype for a week. When they won over other projects in the competition in their school, they constructed the other prototypes. And since they are from the special science class, they don’t have to compete on Division level; instead, they made it all the way to the Regional Science Festival, organized by the Department of Science and Technology (DOST) and Department of Education (DepEd). It was held last August 30 to September 3, 2010 at Palawan National High School located at Puerto Princesa, Palawan. Pauline Angela Rapada and Chelzea Nexie Amelith Madia are the other two senior students who worked with Dote in this project. They adopted it from a previous light trap study made by other students of the same school. Their study was inspired by a similar project done by former students of the Immaculate Heart of Mary. The major difference is that the latter project used different colors of light. Also, instead of designing the light trap to capture fruit flies, they constructed it specifically designed for rice fields. The students’ prototype of light trap for the Round Tr.I.P project was made up of materials that are easily accessible. The front cover of an electric fan and the top part of a water gallon served as the top cover. 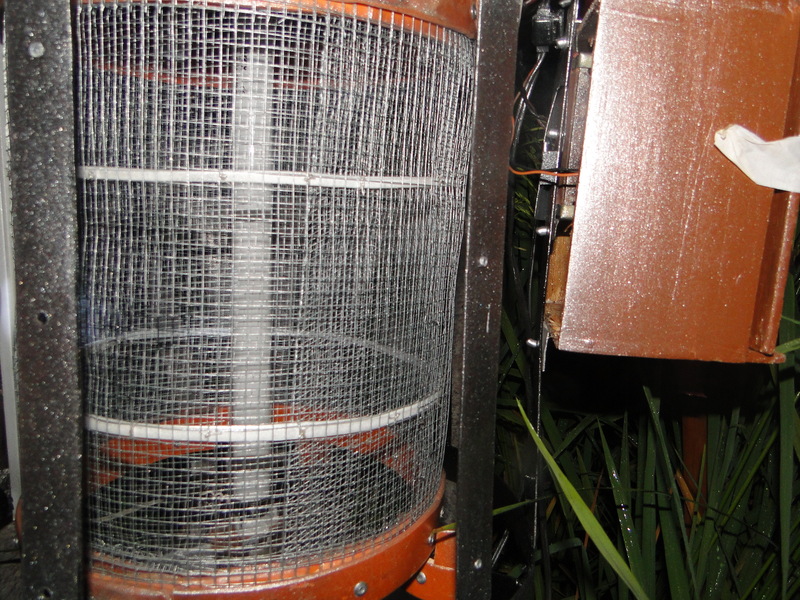 For the body, metal scraps served as the case and foundation of the light trap, while the chicken wire were encircled by wood chips made up the inner body of the trap. A basin is placed at the base of the trap to catch insects what will fall after electrocution. The trap is supported by three metal stands to keep it upright and balance. The next two prototypes were improved in terms of design. Aside from altering the colors of the light used, the next two were built with much sturdier and more durable materials. Light trap: deal or no deal? Dote said that the use of light trap is advantageous since it reduces the need for insecticide. “Pag gumamit kasi ng insecticide, nako-contaminate yung lupa. Tsaka nagkakaroon ng insect resistance (Because if insecticides are used, the soil gets contaminated. Also, there is insect resistance),” he said. Another advantage of using light traps is that it is more economical compared to using insecticides. Setting up a light trap is a one-time investment for controlling pests, while application of insecticides requires buying the chemicals regularly. Using light traps is also a way to promote organic farming because you the farmer no longer needs to apply insecticides that would not only affect the quality of the crops but also the health of the soil. Dr. Pio Javier, an entomologist and professor at the University of the Philippines Los Baños (UPLB), said that light traps could be very useful in organic agriculture since it doesn’t use any chemicals. Electricity is one major limitation of the light trap since it is needed for the light trap to work. Thus, it cannot be used in communities that have no access to electricity. Another limitation of the study is that since only one light trap was used in the experiment, the number of light traps per area is not known. Another drawback as pointed out by Dr. Javier is that light traps could ensnare and eliminate natural enemies such as wasps, predatory insects, parasites and other beneficial insects that feed not on the main crop but on weeds and pests that harm the field. According to Dean Maynard Roxas, an Entomology major, the most common pests that attack rice fields are root feeders, stem borers, leafhoppers, plant hoppers, defoliators, and grain sucking insects. One of the posing challenges for the student-researchers is to equip the light trap with a battery or any other external source of power. It is also recommended that the light trap be made portable if possible so that the farmers can easily transport the light trap to anywhere in the rice field. Other concern of the researchers was the efficiency of the light trap when used in other types of field other than rice field. Lastly, it is recommended that more research be done regarding the ideal intensity of light to be used and its efficiency. The Round Tr.I.P project is a way of promoting organic agriculture to rice farmers. It is also an effective way of lessening soil pollution since it attempts to vanquish field pests without using chemical pesticides that damages our environment more specifically the fertility of the soil. Working on the improvement of this technology with the government’s proper funding and other institutions’ support, it could bring about an increase in the farmer’s net returns by reducing the production costs and increasing the yield. It is somehow funny and striking that all it takes is a group of three high school students in order to provide a suitable, efficient and sustainable solution to problems that has been bugging farmers, technicians, and scientists from the time even before they are born. We could only wish that the story of Dote, Rapada, and Madia inspire more persons younger or even older than them to continue searching for solutions to problems that seem to be too big to solve. These students serve as a constant reminder for us that the only limitation for us is the one that we set ourselves. We could only hope that our government supports project of this kind in order to maximize the talent and intelligence of Filipinos that could benefit not only our country but hopefully the world at large. This entry was posted in Round Tr.I.P. and tagged farmers, insects, light trap, pests. Bookmark the permalink.